Spose’s beyond “Awesome” take on the music biz – Live! Starring ... You! 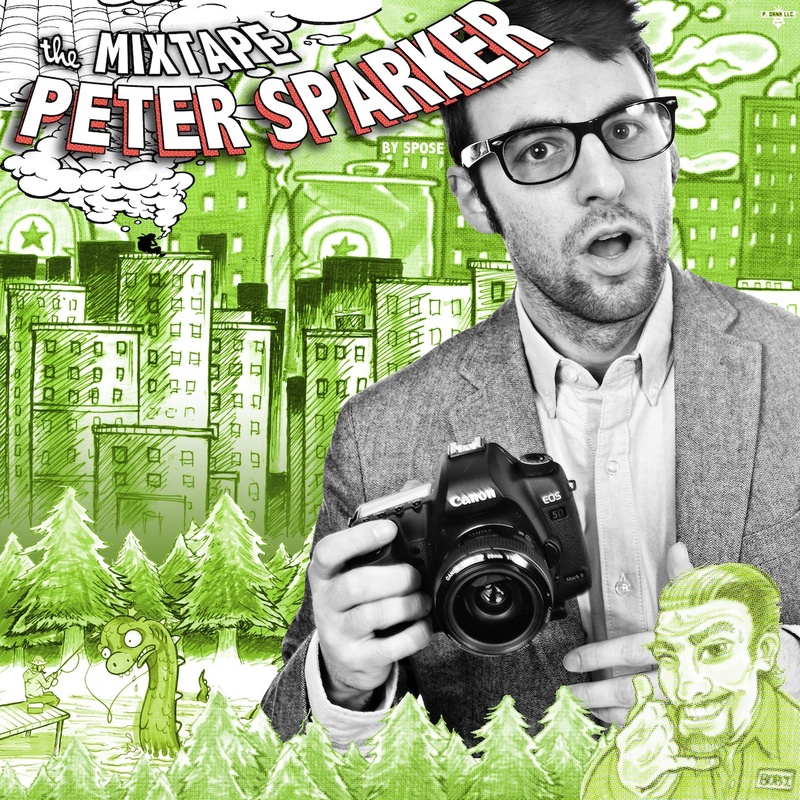 Spose’s Peter Sparker Mixtape is available for free download. But what came next wasn’t so awesome. The song landed Spose (real name: Ryan Peters) a deal with Universal Republic, but his album with the big label never actually came out. So he was left with an identity crisis: searching for his next professional step, wondering if he’d have enough money to support his daughter and keep his house. Spose isn’t the first musician to do this. Eminem, for example, has produced his own yin-and-yang albums, balancing deeply dark and personal work with his signature aggressive, thought-provoking and humorous music. It’s worked for others, and it worked for Spose who, in his next album, became determined to portray his true personality and have people finally “get him” as an artist and a person. After the release of his hit “I’m Awesome”, Spose learned about the harsh realities of the music business and public perception. Spose funded the mixtape, which is available for free download, and his next project, Dankonia, through a Kickstarter campaign. Surviving as an independent artist is an intense amount of work, something Spose needs to remind himself every time he chooses to kick back and chill instead of doing something to further his music career. “Even to this day I’m fighting the natural urges of the human condition,” he says. Spose is a hard-working, smart guy. Honestly, before we first got on the phone with him, we weren’t sure what to expect. There’s a ghetto-to-riches hip hop stereotype that’s been thrown in our faces repeatedly online, on MTV, and awards shows for years. You know the stereotypical (and often close-minded and unfair) reactions: They probably do drugs … Oh, they must not be intelligent … They don’t teach good lessons … They don’t take their career seriously. Not that every hip hop artist come across that way – there are many, many who don’t – but Spose’s hit “I’m Awesome” seemed to celebrate it. Turns out, though, “I’m Awesome” is misunderstood – and so is its creator. The song was meant to be a satire about other artists letting fame go to their heads. Instead, many people took it literally. What is Spose for real? A college English major who took two things that had admits sound socially “incompatible” and combined them. That’s no joke. But it is an “Awesome” idea!